Long live the point-and-click genre! And long live psychological horror games – as long as they’re done right. And Sanitarium hits the nail on the head. Sanitarium chillingly tells the story of Max Laughton, a sufferer of amnesia that’s been brought about after a car crash. Horrified to find out he’s been institutionalized, Max frantically searches for the truth behind the bizarre asylum he finds himself in, and must face past demons in order to unveil his identity and ‘the truth’. The game brilliantly captures an ominous mood with dark graphics and eerie atmospheric music. 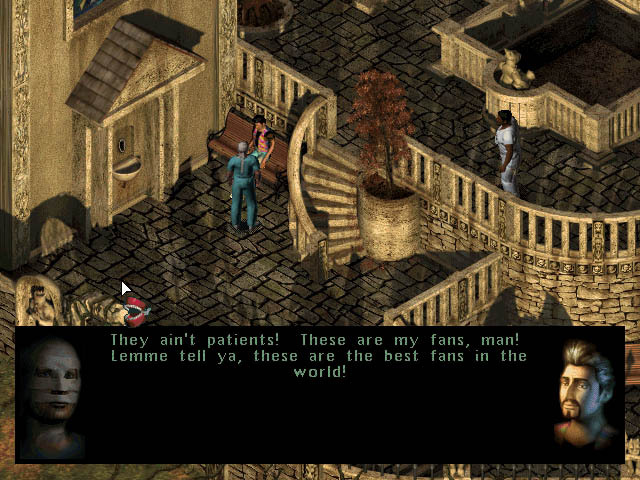 Using an isometric view, Sanitarium takes Max to the very edge of insanity and players will see some pretty mind-boggling events. The game is split into different chapters, each having a different atmosphere and style. The chapters take place in Max’s imagination and the real world, but as the game progresses the difference between the two becomes quite obscure. It’s this obscurity that captures most of the horror in the game. 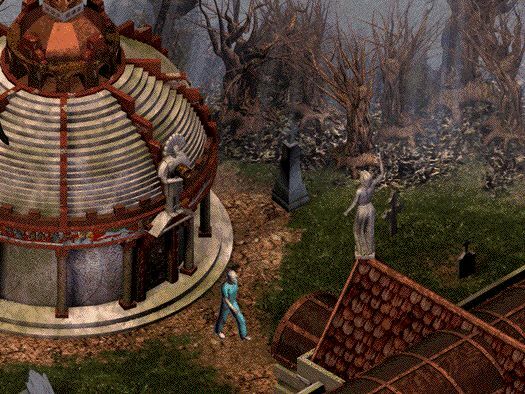 The overall design of the game is very impressive and each chapter reveals the true skills of the game’s developer, and the choice of an isometric view gives the game a classic RPG feel. Controls are fluid – just simply point-and-click of course – and the non-tiled 2D navigational system is basic and easy to employ. This game will take you to the brink of insanity, so if you believe you’re cut out for it, we dare you to try and uncover the mysteries behind the Sanitarium.